Torn apart by war and bigotry, two families confront long-buried secrets in this haunting American novel of World War II and Vietnam. 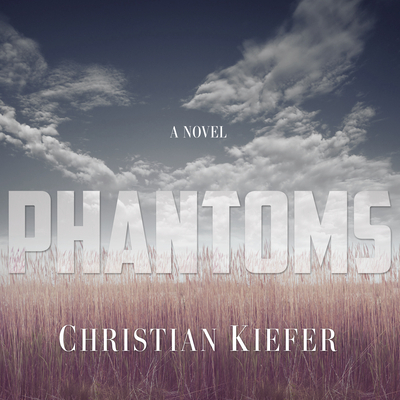 In the panoramic tradition of Charles Frazier's fiction, Phantoms is a fierce saga of American culpability. A Vietnam vet still reeling from war, John Frazier finds himself an unwitting witness to a confrontation, decades in the making, between two steely matriarchs: his aunt, Evelyn Wilson, and her former neighbor, Kimiko Takahashi. John comes to learn that in the onslaught of World War II, the Takahashis had been displaced as once-beloved tenants of the Wilson orchard and sent to an internment camp. One question has always plagued both families: What happened to the Takahashi son, Ray, when he returned from service and found that Placer County was no longer home-that nowhere was home for a Japanese American? As layers of family secrets unravel, the harrowing truth forces John to examine his own guilt. In prose recalling Thomas Wolfe, Phantoms is a stunning exploration of the ghosts of American exceptionalism that haunt us today.